PVA is a water soluble plastic, which can perfectly be used for the creation of supporting structures for complex prints. Just put your ABS or PLA print with PVA support in a container with water (+/- 40 °C) and the PVA will dissolve, without leaving a trace on your printed object. For successful printing correct temperature settings are essential. The material properties of PVA are shown in the table below. Use them as a starting point, optimal values for your specific printer may vary from the values shown above, depending on e.g. nozzle diameter, printing speed and layer height. As the PVA is flexible and can buckle if not guided properly. 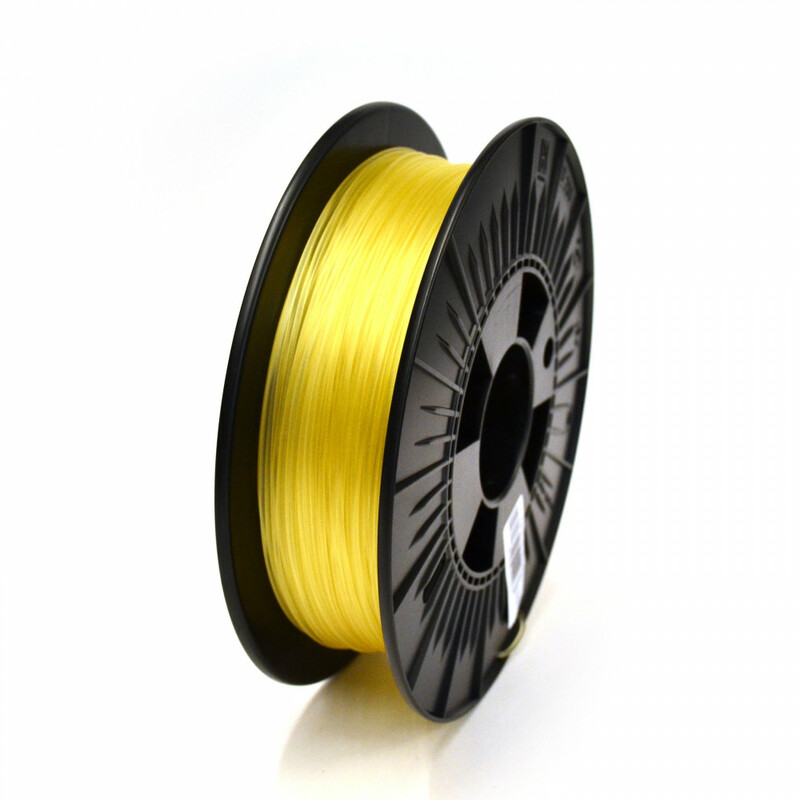 Printing PVA on printers with a Bowden cable is not recommended due to the compressibility of the filament. For printers with the extruder moter close to the print nozzle the compressibility effect is negligible. To protect this material against moisture, it will be packed in a reclosable aluminum bag (see picture), with desiccant to keep it really dry. As soon as your products have been shipped from our warehouse in Amsterdam, The Netherlands (orders completed before 15:30 will be shipped the same day) you will receive a notification by e-mail. In this email is the unique UPS tracking code for your package stated. You can track your package via www.ups.com. The values above are based on a 5kg shipment. For exact calculation of the shipping costs and all UPS services to your address check the Shopping Cart. If you want to track your shipment and you have made an account in our webshop, please go to "Order history" (after login). If you go to the details of your order, you will find your tracking number. Please click "Track It" and a popup window will show you the actual whereabout of your shipment. The shipping costs for your order are displayed during the checkout procedure. This enables you to know the total shipping costs before you confirm your order. Since we hate high shipping costs as much as you do, we try to negotiate better rates continuously.